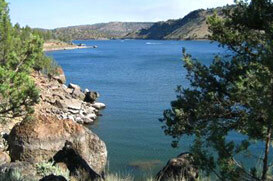 Prineville, OR Homes For Sale | Birtola Garmyn High Desert Realty. Prineville is the oldest community in Central Oregon. Established in 1868, the first settlers in what was to become Crook County settled in the “Oh-cho-coe,” a Paiute word meaning “willows.” In 1882 the county separated from Wasco County, and it was named for General George Crook, a recognized Indian fighter. Today, Prineville is in the midst of growth and revitalization! Local entrepreneurs are investing in their buildings and businesses. Beautiful new buildings have added to Prineville’s character. A city-county plaza across from our beloved and grand, historic courthouse is taking shape this summer. An 1800-acre resort with a renowned PGA-designed golf course is being built in south Crook County. Planned communities are being designed and built in Prineville, expanding residential choices. A 70-acre commercial/retail development is on the drawing board for the old Ochoco Mill site. Need a place to play? Where you can enjoy nature viewing at its finest? This is a place where those weary of hectic schedules and jangling telephones can find peace, a place where life can be pondered from a different and unique perspective. Most of all, a place carefully designed and maintained for people — for the mother and her baby out for a Sunday drive, for the father teaching his son how to fish, for the teenager who wants to get away for a bit, for the couple on a weekend camping trip, for the grandparents who just want to take it easy for a week.